Primary power for the system is obtained from four deep cycle 200AH gel batteries wired for 48V power. Batteries are re-charged using dual solar panels that are designed for excellent power output in low irradiance conditions and are salt/mist/ammonia resistant for use in seaside and farming applications. Solar charging was selected because it is eco-friendly and operates silently. Silent-running operation is a key customer requirement when the system is deployed in crowds or at construction sites with neighbors. Knowing that our customers would rely on the Mobile Camera Tower systems for uninterrupted continuous live video streaming and perimeter protection was a significant design requirement. To accomplish this, we developed a proprietary electrical system design that solved two major issues with competing systems; system outage for recharge and premature battery failure. 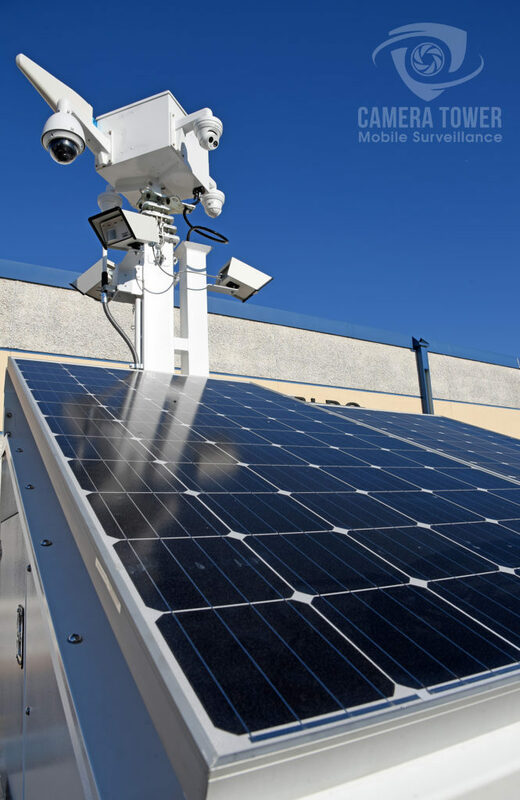 Most battery-powered CCTV trailer systems discharge batteries and then shut-down the system for re-charging. This approach not only takes the system offline, but because deep battery discharge can shorten their useful life. To solve this problem, our design consumes less power than the solar charger generates and allows simultaneous use and charging. This prevents battery deep discharge during daytime operation and eliminates the need to take the system off-line. 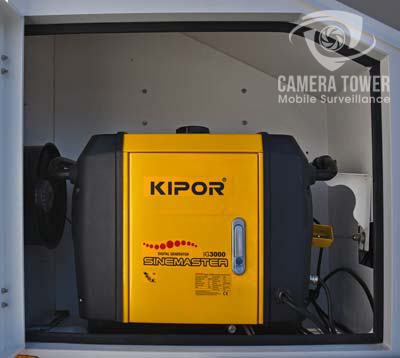 As a final fail-safe, the Mobile Camera Tower systems are equipped with a backup 3KW digital gas generator/inverter that features auto battery system voltage sensing and auto start/stop for quick battery charging.